Shutter Speed: 1/2000 sec. – 1/4 sec. Waterproof: Yes to 9.8 ft.
Shockproof: Yes to 3.3 ft. 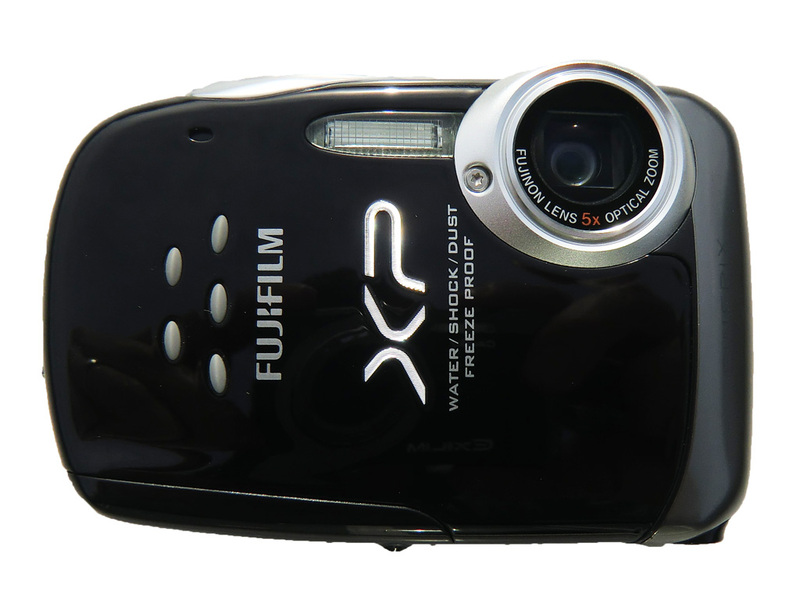 The Fujifilm FinePix XP10 is the first waterproof camera I have ever used. I wanted to try waterproof cameras after my last digital camera bit the dust from excessively wet and freezing cold adventures. I am not a professional photographer, so this review is from the standpoint of an adventurer who takes lots of pictures. 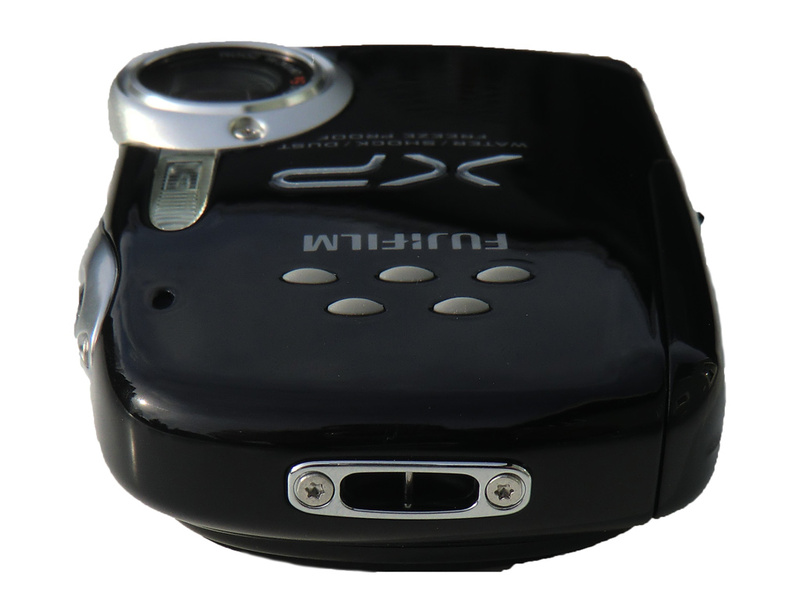 The FinePix XP10 is an easy digital camera to operate. Simply hit the power button, wait for it to start up, then shoot. There are an abundance of fancy shooting modes and settings that can be adjusted, but I found it easiest to use the default automatic mode. One gripe I have is the power button has to be pressed quite firmly to get it to turn on. I have yet to get used to that and normally have to press it a couple times. The FinePix XP10 shoots descent photos in and out of the water (see examples below). However, low light conditions are not this cameras strong suit. They come out very dark and grainy. As long as there is bright light the XP10 shoots good shots. Another thing to watch is keeping the outer lens screen clean. Since it doesn't have any cover, it is prone to fingerprints and dirt. A quick wipe from a soft shirt effectively cleans it. One plus to this design, is during underwater shooting, air bubbles do not get trapped around the lens like on the Olympus Stylus Tough-6020. Click the thumbnails below to download hi-resolution 12 megapixel sample images taken from my Fujifilm FinePix XP10 camera. Each image is over 5 MB, so be patient. 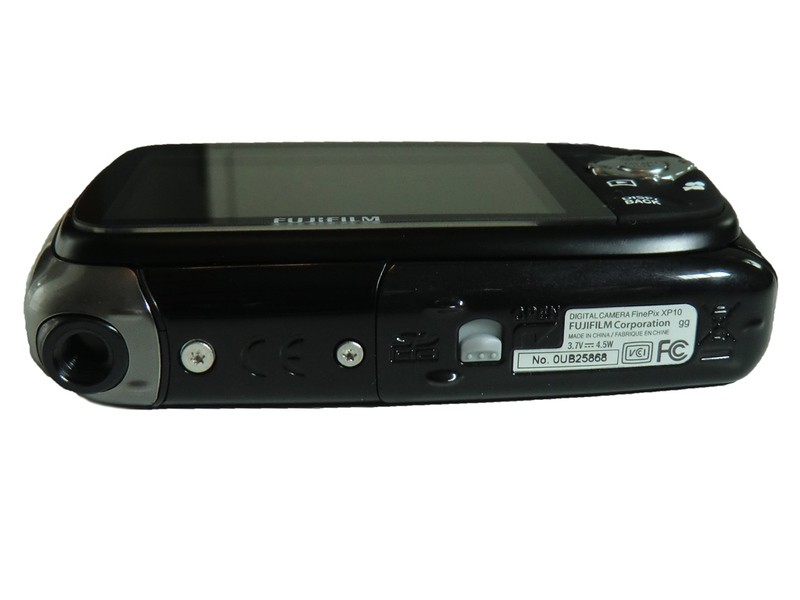 HD video is recorded on the FinePix XP10 in AVI format. I found the video quality to be fine both in and out of the water. Unfortunately the audio is not fantastic and has an audible static noise even in completely quiet conditions. 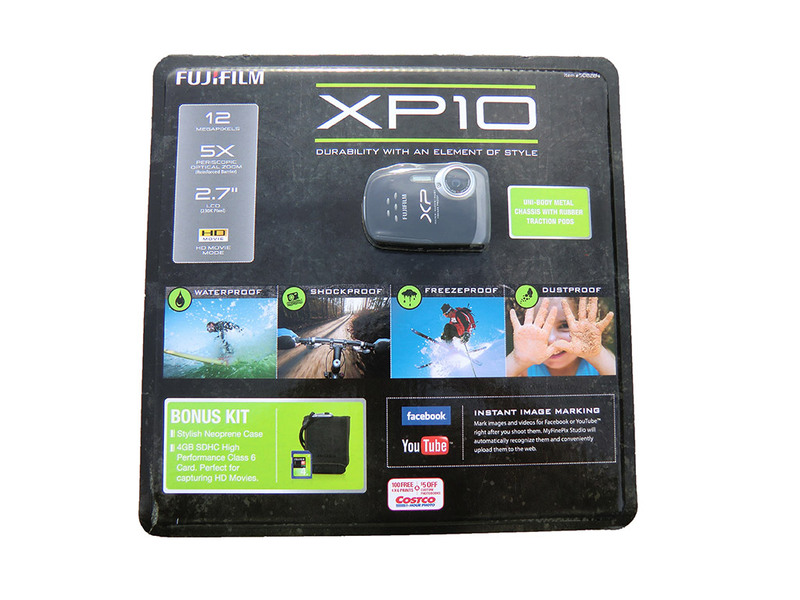 My favorite features of the Fujifilm FinePix XP10 are that it is shockproof, freezeproof, waterproof, and dustproof. This camera handles all four areas very well. 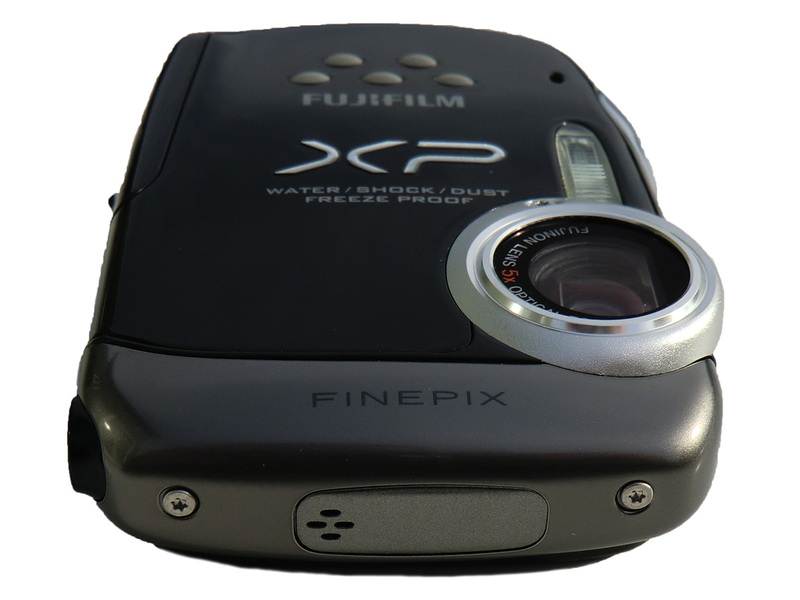 I have used the FinePix XP10 in rain, snow, rivers, and the ocean without any issues. The only problem I have had is after leaving the camera in single digit temperatures, it doesn't work. Even through it isn't supposed to work when it is that cold, I am able to use it just fine if I first warm it up next to my body before turning it on. Battery life of the FinePix XP10 is average and mostly adequate for my day trip needs. I can normally shoot over a hundred pictures plus a short video or two before draining the battery. In the cold, battery life is less, but can increase if the camera is warmed up next to your body. 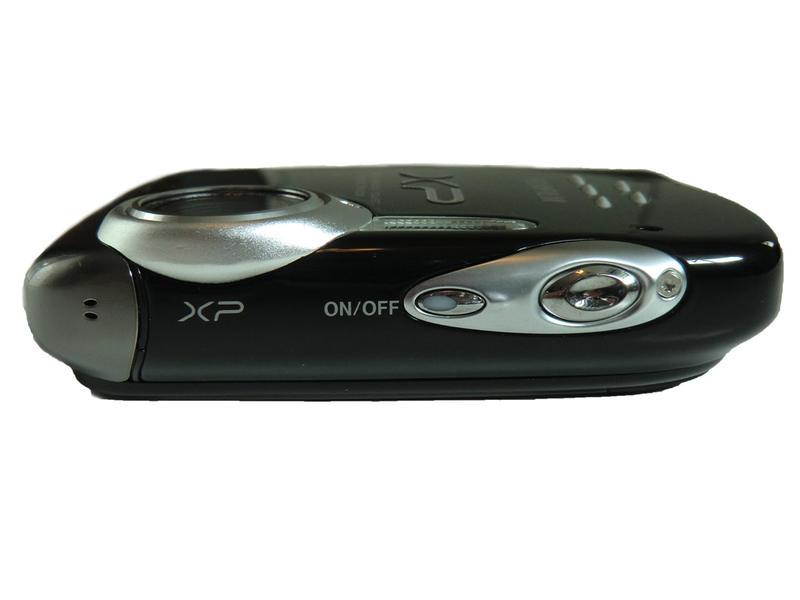 While the FinePix XP10 is durable in terms of small drops, the rubbery buttons are prone to wear. The black has been wearing off of mine making the function symbols disappear. This is purely cosmetic, but can make using the camera more difficult when you don't know what each button does. See "Snowshoeing Boy Scout Ridge on the Slopes of Mount Hood", "Snowshoeing to the Summit of Ghost Ridge Adventure", and "Snowshoeing Maxwell Butte Adventure" adventures where the Fujifilm FinePix XP10 camera was used. 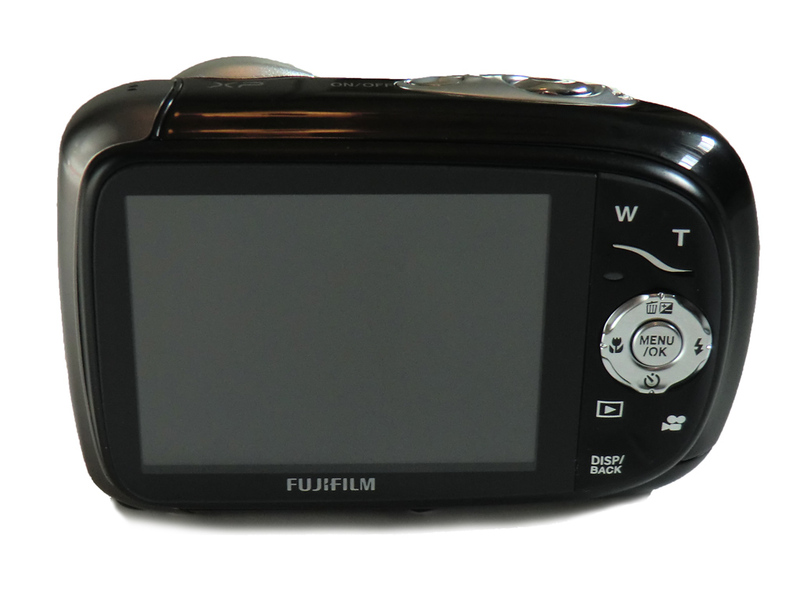 As a tough point-and-shoot digital camera for outdoor adventures, the Fujifilm FinePix XP10 works as advertised. It has a few shortcomings, but functions great overall for its intended purpose. If you need a tough inexpensive camera, don't hesitate to pick up a FinePix XP10. Available at amazon.com.